I'm planning to highlight some retiring products over the next couple of weeks, and the first stamp set that I am featuring is Summer Silhouettes. I've found it to be a very versatile stamp set and it creates very pretty images whether it's the leaves or the flowers or the lattice work stamp. 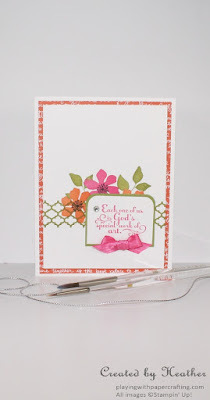 I'm using Freshly Made Sketches' Challenge sketch this week for the layout. These bright, saturated colours need a lot of white or neutrals to tone them down a bit, and I opted for white for a clean look. These colours were perfect for a floral design. I used Melon Mambo, Tangerine Tango and Old Olive. I first stamped the lattice work from Summer Silhouettes in Old Olive across my page. 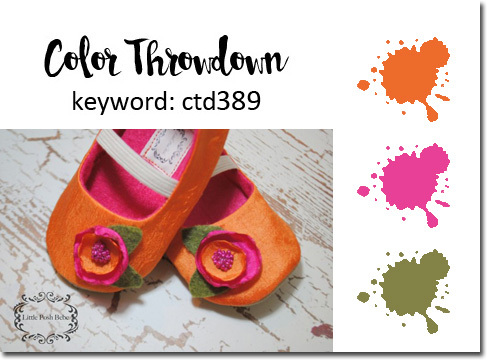 I then added the flowers in Melon Mambo and Tangerine Tango, with centers of Basic Black Archival ink. I then wanted to mask the flowers so when I stamped the leaves, it would look like they were behind the flowers. 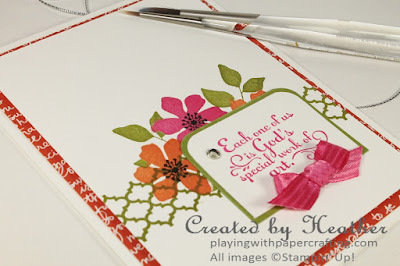 To do that I stamped the flower shape twice on a Post It Note and fussy cut them out. I cut just inside the border of the image, because if you don't,when you stamp the leaves, the slightly higher mask creates a little "stamping shadow" of white paper around the flower image. By cutting the image a bit smaller, that shadow gets less, bringing the leaf right up the the edge of the flower. 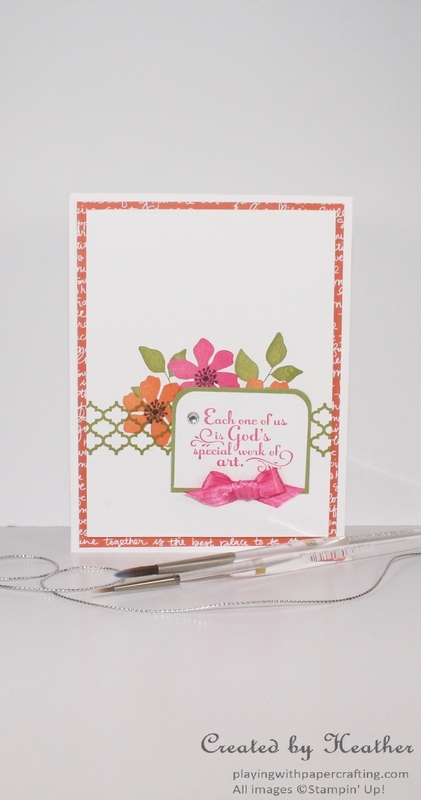 The sentiment is from another retiring stamp set called Trust God. and it seemed the perfect one to pair with the stamped images. 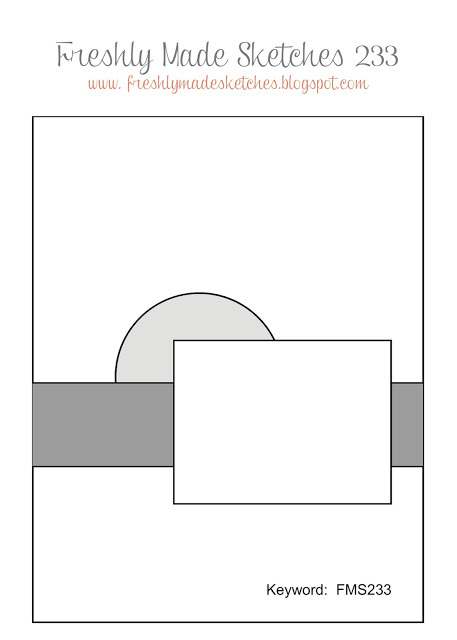 Rounding the top corners of the rectangle adds extra interest. A few things have already sold out from the Retired list so don't wait too long to get your orders to me if there is something you really want, as everything will be gone for good by the end of May, sooner if supplies run out. Check out my Facebook Page to keep up to date with what is still available. Thanks for dropping by! Have a great Monday!